You cannot believe what a thrill this is for me. I feel so privileged to be participating in a official fan event at Star Wars Celebration II. I created my first site (Niubniubsuniverse.com) in 1999 to share my diorama photos and instructions and hopefully bring new fans into the cool world of making displays for your action figures. And now to have the opportunity to meet and do this with you guys in person is just mind blowing. I can’t wait. When asked what I wanted to do I thought, what group project would best fit with the 25th Anniversary of Star Wars and easy enough for kids and beginners ? Mos Eisley of course !!! 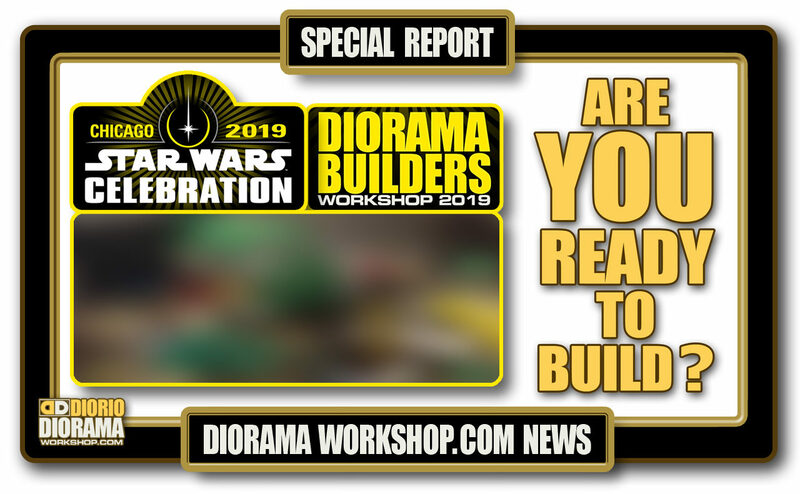 So what exactly will the Celebration II Mos Eisley Diorama Builders workshop be ? As you enter deeper into the workshop, you can decide what area you wish to participate in. Individual Tatooine homes, group Cantina, Docking Bay 94, maybe some Moisture Vaporators. In the center of the room will be the fan made Mos Eisley Diorama. Measuring a whopping 8 feet X 16 feet. What are we making ? and How can I participate ? 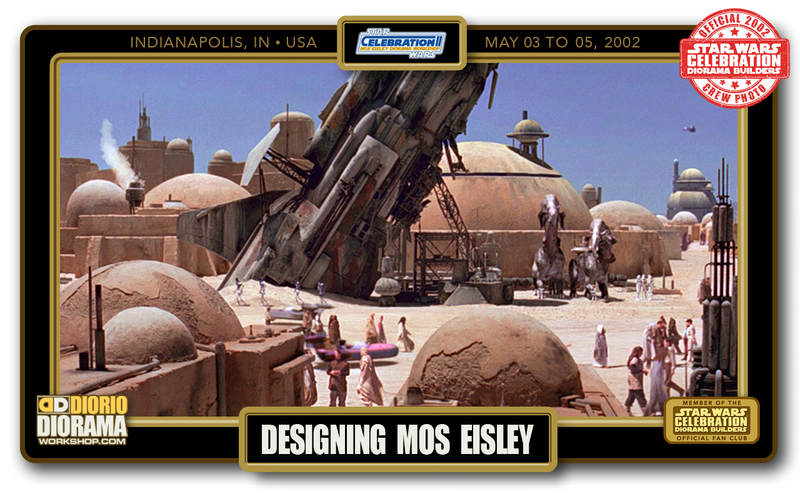 As you know, Mos Eisley has a lot of houses. Here is your chance to create an entire house of your own. Houses will be approximately 12″X12″ wide, 12″X24″ for doubles. These will be individual projects. There is space to make 48 houses, we will have lots of picture references handy. House designs will be given out on a first come, first serve basis, so come early. Now for the best part, those who create a house, get to keep it as your official Diorama Builders Celebration II Souvenir – How cool is that ? The only rule is that your house can only be picked up on Sunday May 5th Between 3:00 and 3:30 PM after pictures of the Finished Diorama are taken. My personal Hasbro Figures and Toys used to dress up the Houses are NOT included to take home (Note: that started at CIII with Fan Donations) Unclaimed houses will be given away on a first come first serve basis. 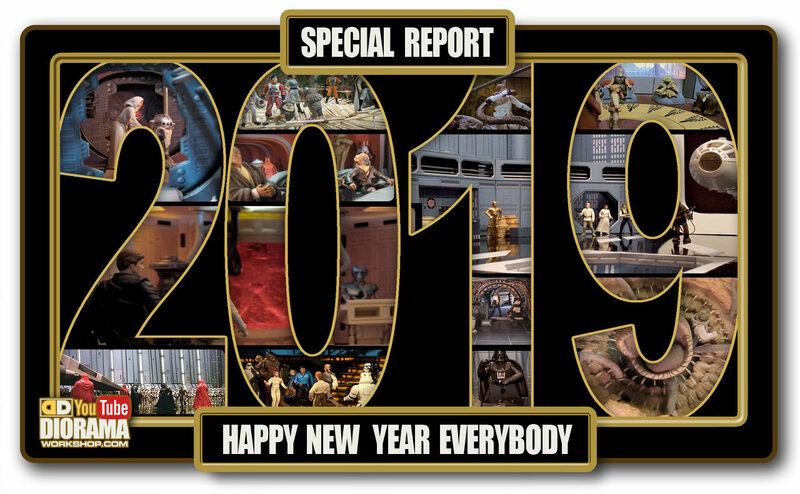 As you know, Mos Eisley cannot exist without a cantina 🙂 Due of it’s size, and so many details like Chairs, Tables, Bandstand etc… This project will be a Group Effort. The Cantina will be approximately 2 feet X 3 feet. Because many are needed for it’s creation, you cannot keep what you created. But the good news is that Sunday May 5th at 1:30 PM, there will be a drawing. The winner takes home the Entire Cantina !!! My personal Hasbro Figures and Toys used to dress up the Diorama are NOT included in the Prize. The Winner MUST be present in the Diorama Builders workshop room to claim his prize. How can we not include a cool Diorama like Docking Bay 94? Due of it’s size, approximately 4 feet X 4 feet… This project will be a Group Effort. Because many are needed for it’s creation, you will not be able to keep what you created. However, on Sunday May 5th at 1:35 PM, there will be a drawing. The winner takes home the Entire Docking Bay 94 Diorama !!! My personal Hasbro Figures and Toys used to dress up the Diorama are NOT included in the Prize. The Winner MUST be present in the Diorama Builders workshop room to claim his prize. 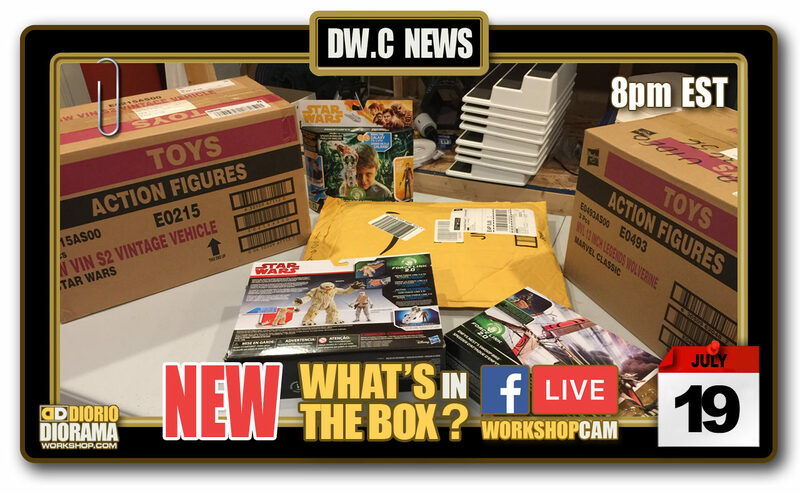 What hours will the Diorama Workshop be open ? The rooms will be open to the public from 10:00 AM through 6:00 PM on Friday, 9:00 AM through 6:00 PM on Saturday and 9:00 AM through 4:00 PM on Sunday. Do I need to bring any material ? At the end of each day, Every Diorama Participant will gather around the Diorama for a Group Photo. That same evening, you can log onto Rebelscum.Com and be able to view our progress and see Everyone who was involved in it’s creation. Want to join the staff and help us give tips and tricks to first timers ? It is impossible for me to do this alone, nor do I want to. This event is about promoting the hobby of making Dioramas. 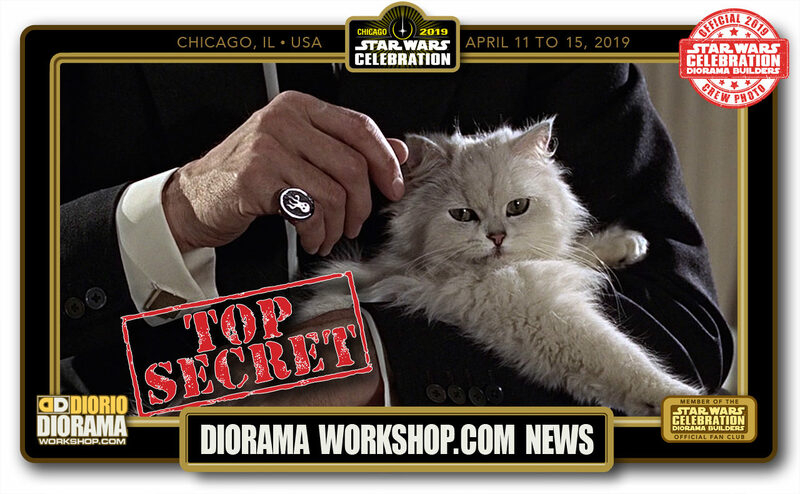 If you have made Dioramas of your own and will be attending Celebration II, Please email me and tell me about yourself and availability. It’s all about TEAM WORK. For those of you who have been visiting my site (NiubNiubsUniverse.com at the time) since the very beginning and all of you who have just discovered us, I cannot wait to see all of you there in person. After Celebration II, Episode 2 comes to theaters 🙂 the fun is just about to begin !!! For those of you who cannot attend, Don’t worry, I will take as many pictures as I can to bring you an amazing Making Of upon my return home. It will be almost as if you were right there with us. 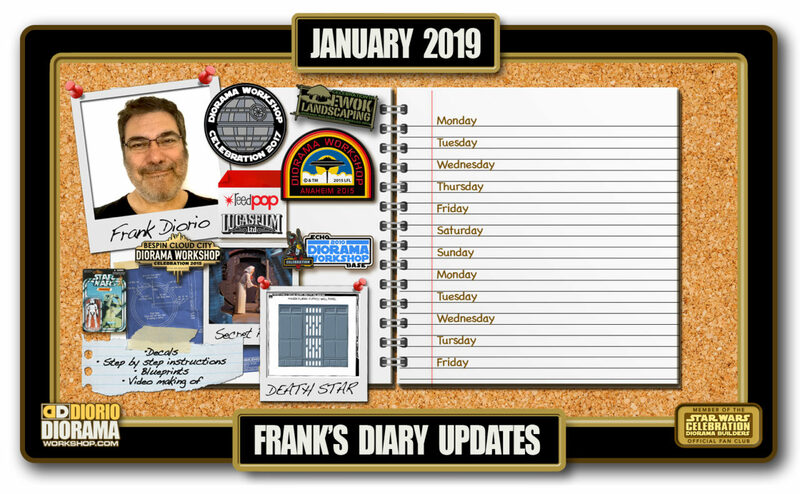 And I cannot say a big enough THANK YOU to Philip Wise for introducing me to Mary Franklin who allowed me to participate in this major event of 2002. I will See you in May !